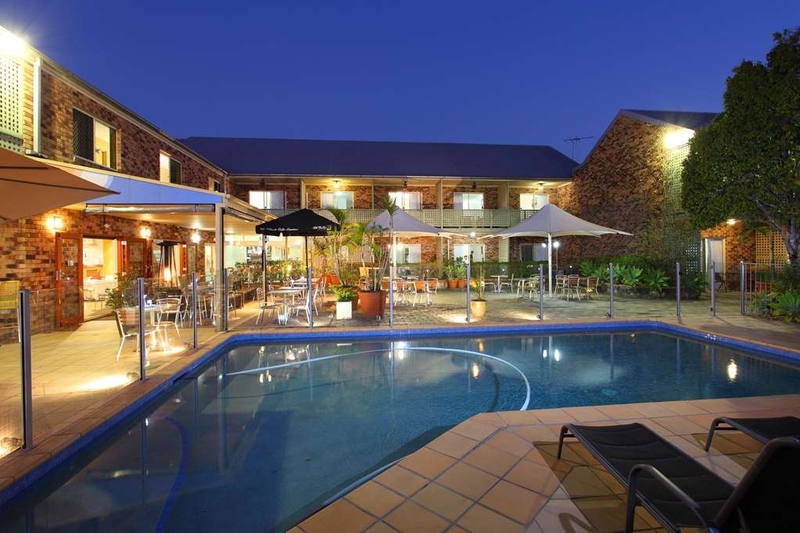 El Best Western Gregory Terrace Brisbane se encuentra en el centro de Brisbane. Venga y disfrute de las mejores atracciónes turísticas cerca de nuestro hotel. Precios bajos garantizados y ofertas exclusivas. 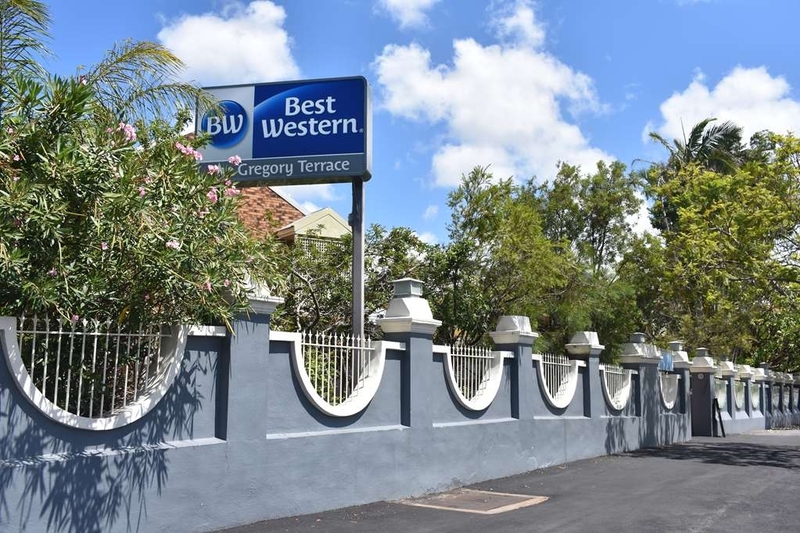 El Best Western Gregory Terrace es un moderno hotel situado a poca distancia a pie de los centros comerciales Brunswick Street y Chinatown, Fortitude Valley y del distrito central de negocios de Brisbane. Los huéspedes que se alojen en este hotel de Brisbane podrán disfrutar de la proximidad a Roma Street Parklands, el Brisbane Transit Center y los recintos feriales de la Royal National Association (RNA), sede del popular festival EKKA. A escasa distancia en taxi se encuentran el parque Southbank Parklands, el Palacio de Exposiciones y Congresos de Brisbane, el Complejo de las Artes Interpretativas de Queensland, el estadio Suncorp y el Treasury Casino. 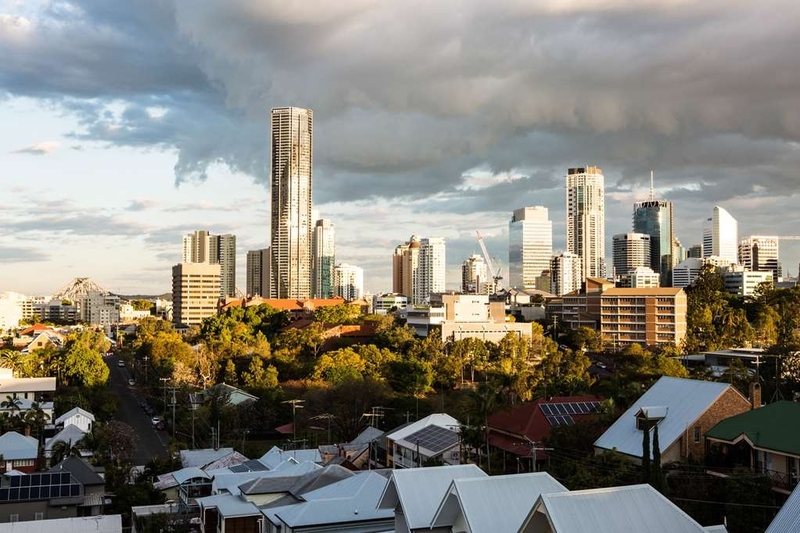 El Gregory Terrace Brisbane cuenta con 36 amplias habitaciones con una magnífica ubicación sobre una colina, muchas de ellas con fantásticas vistas panorámicas al paisaje urbano de Brisbane. Todas las habitaciones ofrecen acceso gratuito a Internet inalámbrico y estacionamiento cubierto con acceso mediante ascensor. Las instalaciones del hotel incluyen el popular GT's Cafe, que sirve un menú de temporada con platos elaborados con productos frescos, una piscina al aire libre y un hermoso patio ajardinado. Muchos de nuestros huéspedes vuelven cada año con motivo de la celebración de la feria de vehículos 4x4 y del Tinnie & Tackle Show en marzo, la feria de la acampada y la caravana en junio, el Royal Brisbane Show en agosto y las numerosas ferias de muestras que tienen lugar en los recintos feriales del RNA, a tan sólo unos 500 metros de distancia. El personal cordial y eficiente del Best Western Gregory Terrace Brisbane estará encantado de convertir su estancia en Brisbane, Queensland, en una experiencia realmente inolvidable. ¡Haga su reserva hoy mismo! "Spur of the Moment Stay"
I arrived fairly late with no booking and was warmly welcomed by the lady at Reception. A room was available and when I asked if I could order a small meal. Even though the kitchen had "closed"the young lady offered to cook me any meal I wished. The meal was excellent and served by another very pleasant member of the Best Western staff. Would highly recommend Best Western Spring Hill for an overnight or longer stay. I see you have decided to share your concerns after apologising to me, and saying you would not be posting your concerns online as you realised they were relevant to you and your current circumstances only. As discussed we apologise again for not meeting your expectations. Chef explained she would not be purchasing inferior Fetta 'key ingredient" from a corner store, as it was not a superior product which is what we like to offer. We did not see the smokers by the pool. If we had we would have told them the same as you were told. We are a non-smoking property and the street is where one needs to go if they wish to smoke, regardless of the weather. You did not raise your concern regarding the towel rail with me when we chatted, otherwise, I would have ensured it was repaired. You were offered a Free late checkout by the lovely Pauline. Your satisfaction is important to us and we will be using the feedback you gave us to implement improvements to ensure we offer a better experience for guests in the future. "Terrible - do not waste your money on this place"
One of the beds was missing a wheel so it tipped, the curtain had mould the whole way along the bottom. The parking is not free as stated on many sites on the internet. The air con remote did not work. The balcony is not private and we had other guests cigarette smoke coming into the room. Very unpleasant stay, never again!!! "Return vist to Best Western, Gregory Terrace"
My husband & I stayed at this motel the night prior to our departure to Canada for a white Christmas with friends. We chose & booked this motel through Fly Buys Travel website as it had a Superior Room with queen & single bed + a view of Brisbane from the balcony & breakfast was served from 7am. Upon arrival our room was not as requested with only a queen bed & breakfast was from 7:30am, being too late for our plans, + it could only have been a standard room as the carpet was filthy & the walls heavily marked When I questioned the various shortcomings, I found out Fly Buys Travel use Expedia & our booking was made erroneously by them so, no fault on Best Western but we overpaid. I have since addressed this cost factor with Fly Buys Travel & a refund is coming. 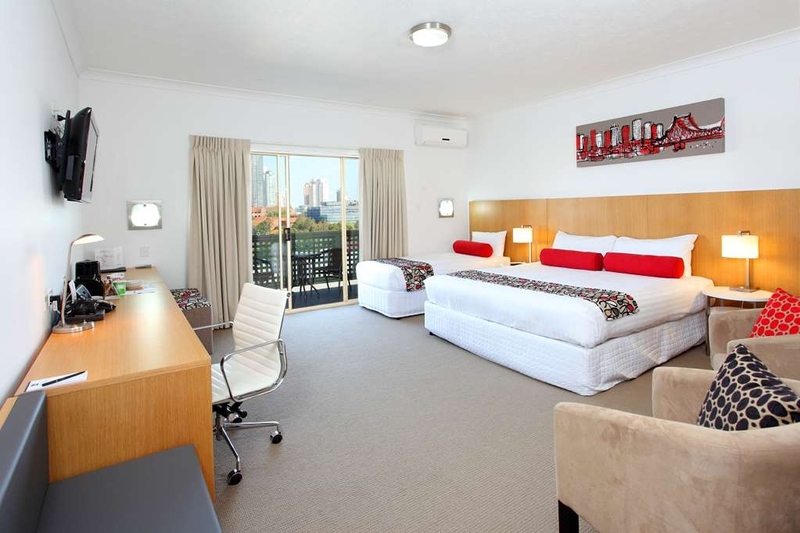 But in relation to Best Western Gregory Terrace, from our experience, it is only a standard motel. There is no traffic noise till around 5am when the rubbish truck arrived. Even though the windows do open, management request you have them closed overnight & there are no insect screens fitted so mosquitoes were in our room. The shower over bath has poor pressure & is very awkward to get in/out of due to the toilet placement. In summary, it was okay for the 1 night but I'll try another place next time considering the cost was $142.00 AUD. Thank you for taking the time to review your stay with us. On behalf of our entire team, I would like to apologize for not exceeding your expectations. Your satisfaction is important to us and we will be using the feedback you gave us to implement improvements to ensure we offer a better experience for guests in the future. I hope that you will consider staying with us again so that we can have another chance to provide you with a superior experience. I would just like to acknowledge the outstanding service I received last night (06/12/18) from Jeremy in reception. Jeremy went above and beyond to ensure I was safe and comfortable in my drunken state. He handled this situation in a very courteous and patient manner, completely exceeding his responsibilities. We booked as it was near to The Tivoli but next time we will stay in town and get a cab. The hotel was more a motel, and very dated. The bed was comfy and clean but the sheets were thin and grey and the towels hard and worn. I asked for a bath due to temporary disability but was given a shower chair in what I presume was a disabled room. Nearly tripped over a small step in the bathroom doorway when up to toilet in night. No electric plugs next to bed. Paint touched up. Wifi kept dropping out all time meaning I uploaded something on mobile data rather than wifi. Looked like it had been upgraded about 20 years ago. I could have gone to Holiday Inn Express for much less money and had breakfast included. The staff were pleasant and gave a one hour extended checkout for free. Location was good for the Tivoli about a ten minute walk. Thank you for reviewing your stay. We apologise that your request was not as you had hoped. We were under the understanding that you could not use a bath due to your tempory disability and were given the easily accessible bathroom to assist you. We hope you enjoyed your event at the Tivoli. "Recent stay for dog lovers show"
Stayed recently at BWGT for the dog lovers show.Its location was just a small stroll away from the show venue.The bed was super dupa comfy,room was clean and tidy.Value for money was spot on.The service and attention to detail from the staff was 5 star.I will be using this place again in future again.no complaints.hats off to the staff that work there. Thank you for your very kind feedback. I shall pass on your lovely words to our staff. We hope to see you again when next in Bribane. 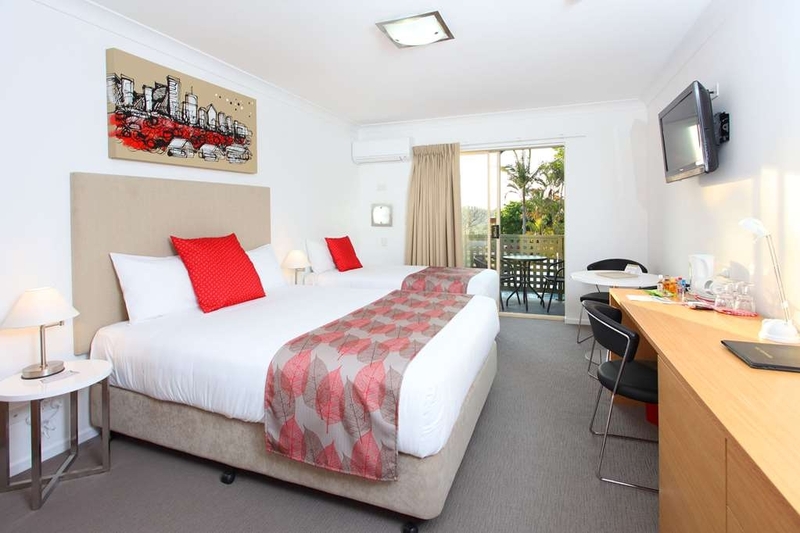 This motel is located within a 30 minute walk to the center of Brisbane. The room that we were in had a beautiful view of the city. The bed was extremely comfortable and the staff very friendly and helpful. We had an evening meal at the restaurant attached to the motel, it was nice but nothing that special. The only downside was the shower in our room was over the bath tub and it was a very high step into the tub. There was a safety rail to hang onto, however I wouldn't recommend this to someone who was a bit elderly or had any knee or hip problems. Stayed one night here after a social event in the city. Close and convenient to everywhere makes it good as a place to stay especially if you live out of the city and need a place for the night with late checkout option and secure car park. Bed and facilities are good, has everything you require for a night or day with a pool and own restaurant. Staff were helpful and accommodating to needs. Thank you Chris for taking the time to review your experience with us, we appreciate your feedback. It was clean and comfortable but wasn't impressed with the food. 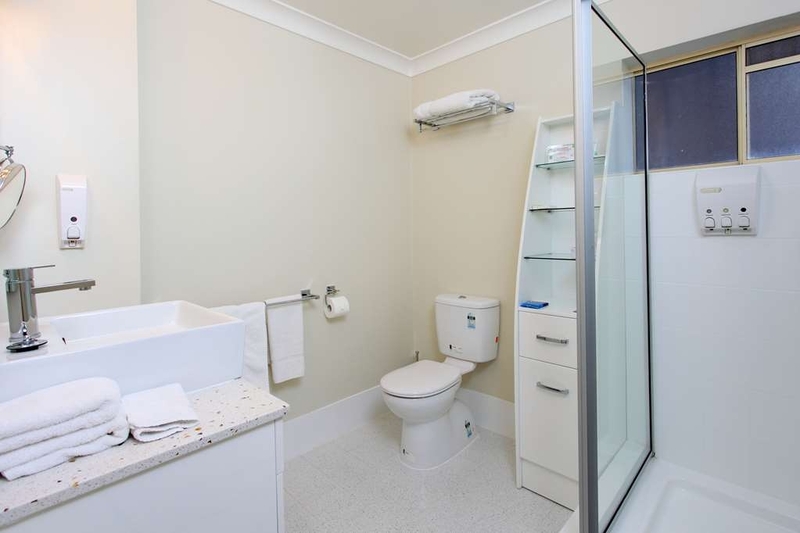 Toilet roll too far away from toilet in room. Reasonable price. Staff were scruffy dressed but friendly. Secure carpark.Suitable location. Stayed at Best Western for one night to attend the Ekka night time entertainment motel just a short walk to Ekka stayed in the family room undercover parking this hotel was adequate for our one night stay. "Looks like a CSI location, I was waiting for the workers to come out in HAZ-MAT suits." Do not believe the pictures that are displayed on this location. The "Deluxe" room we got was full of mold in the bathroom and it was still dirty!!!! The carpets had numerous stains of bodily function colouring. The smell was horrific. I had purchased the room through Expedia so I had no idea what I was walking into. The parking is not convenient and the stalls are tiny! I literally felt unsafe just being there. Before we seen the room, we were trying to be positive so we asked the worker what kinds of fun things does Brisbane offer and he literally said NOTHING yet we found out that it was a wonderful city that is chalked full of culture, dining and shopping galore! I am trying to think of something positive to say as I do not like to leave negative reviews, but, I have nothing!!!! "Easy convenient place to stay"
The photo made it look great, it wasn't. The room had stained carpets, a conditioning unit was right outside the exit door onto the balcony from the twin room so no way to open it at all. The beds were clean and ok but the bathroom was not up to standard. The pool was full of leaves and looked like it hadn't been cleaned for some time. The staff were very friendly and helpful and the cafe staff were very nice as was the food. But needless to say we wont be staying there again which is a shame as it was in a great location. "Didi not meet our expectations"
We were double billed for a meal, carpet in our room stained and grubby, towels old, coarse and threadbare. Have stayed previously and also previously double billed for accommodation. Whilst at some time in the past an effort has been made to renovate the room and they generally look presentable some of the fittings, like baths and showers and tap fittings are showing their age and detract from the overall amenity. Thank you for reviewing your stay. We appologise for not meeting your expectations and appreciate your constructive feedback as it assists us to deliver a superior experience for you and other guests in the future. Excellent stay. Large clean room. Close to everything, Valley, Wickham Terrace, CBD. Staff great. Value for money. So handy to have lock up car space at no extra cost. No stairs to use once checked in. "Worst Place We've Stayed on Holidays"
This place is outstandingly the worst place we have stayed on holidays. We stayed for three nights, not once was our room cleaned, bins emptied, toilet paper replenished, towels cleaned etc. It appeared the towels had not even been cleaned from the previous people who had stayed, some were still dirty and one had a blood stain. Drinks from the bar downstairs were seriously overpriced for what they were at $5 for an ‘iced chocolate' which was just chocolate quick and milk. The door in the undercover parking doesn't open with your room key and you constantly need to ring to have the door opened, if there's no one at reception to buzz the door open then get ready for a long walk around the building to get to your room - real convenient especially when carrying a lot of gear! Care factor from the staff about this door was zero as they took the door wedge away because it ‘beeped' in the reception which annoyed them... well would that not be a sign to get it fixed!?!? Upon leaving the premises and returning the key we were not even asked how the stay was, like they already knew the place was a dump. My recommendation is to physically view this place before staying because the photos are very deceiving and look nothing like they do online. If you stay here be prepared for your accommodation in Brisbane to be severly disappointing. Never again. "Great for short term stay, not near the free bus loop." When our flight was cancelled and we needed to find accommodation for the night, I phoned the Best Western Gregory Terrace. Feeling quite stressed as I only had half an hour before checking out of our other accommodation, I didn't want to have to drag luggage around town until 2pm. The lady I spoke with at reception was able to offer me a 10am check in and we had a view of the city from the verandah. The room was satisfactory for a short stay. There was a kettle and fridge in the room and TV, and there is a restaurant onsite. There is a bus stop right outside, but it is quite a distance from the free bus loop. "Great food, great service, spacious rooms!" This hotel surprised me with the exceptional level of service. They truly cared that all our needs were met & 100 percent satisfied. The rooms were clean, comfortable, spacious, and quiet. And the price was reasonable. The food & service was excellent as well. Stayed one night, close to the Show grounds, The Tivoli and Valley restaurants. Good size room and clean. Staff very friendly, they let us leave the car there after check out until finished at the show grounds. We have stayed quite a few times at this hotel and have always received great service. This time our room was not quite up to standard but the service of the staff was exceptional. I was asked to review my stay and so I did. I had a great email off the Hotel Manager apologising and explaining what had happened, a painting had been removed from the wall above the bed as it was not safe and this was possibly why housekeeping had forgotten to replace towels and toiletries. It was great to have a response let alone an explanation! We stayed here for 2 nights while we exhibited at the Brisbane Model Train Show at the Exhibition Grounds. 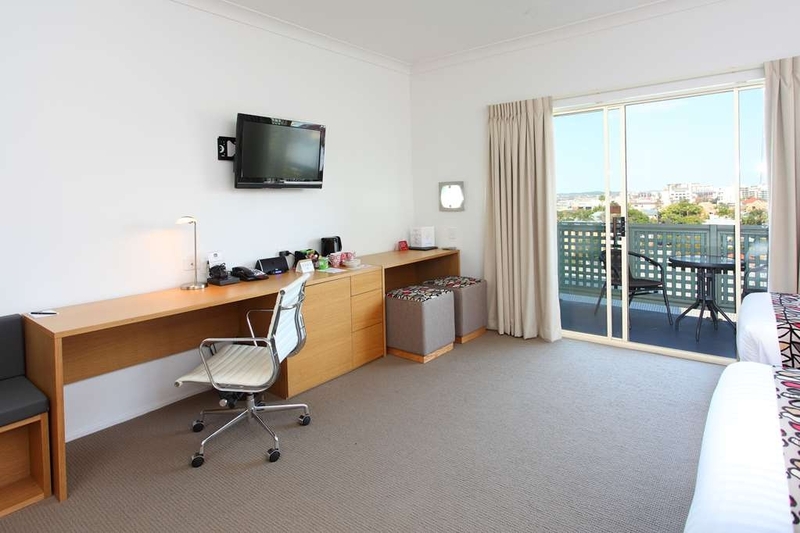 We found the room of a good size and very clean with great views over the city to the Story Bridge with a small balcony. It was a comfortable walk to the Exhibition Grounds. Check in and check out was easy with secure basement parking. Yes, we would stay here again next time we need a place to stay in the inner northern suburbs of Brisbane. "Definitely not 4 star accomodation"
We stayed for 2 nights on our way to the Gold Coast with two young children. To be honest the room was filthy, had a horrible musty smell. Bathroom was filthy mould in the shower everywhere. The tap that turned the shower on was broken. Carpets filthy and layers of dust behind TV and beds. Wardrobe door was hanging off and dangerous for children to be around. Our TV didn't work on the first night and on the second kept cutting out. Towels looked like they were about 10 years old. I ordered a beer in the bar and was served a glass with lipstick on it. We complained in the morning and were told that the owners were not prepared to have the carpets cleaned every three months. After 2 nights I was covered in itchy bites on arms and feet and kids had bites on faces and ears suggesting that bed bugs are present at these premises. Before we left I checked under beds for kids toys and was horrified to find rubbish and thick dust that had never been cleaned. I don't understand how these people can get away with this standard of hygiene and promote themselves as being a 4 star motel under the Best Western Flag! Not good enough! The room has all your need and the location is close to everything. Beds were comfortable and check in at 10PM was not a problem. Parking was secured and internet was also available. The sower could have been better but let's just say that it saved some non renewable resource. I would just add access to the elevator from the bottom level of the garage so you don't have to drag all your belongings up the parking ramp to get to it. Arrived from the USA with 3 family members and I arrived with travel sickness. Staff was very kind & allowed me to check in several hours early so I could lay down & recover. They were extremely accommodating and I am so grateful they were so friendly & helpful. Comfortable beds & other family members were able to lounge in pool and tour Brisbane while I recovered. Can't thank them enough! 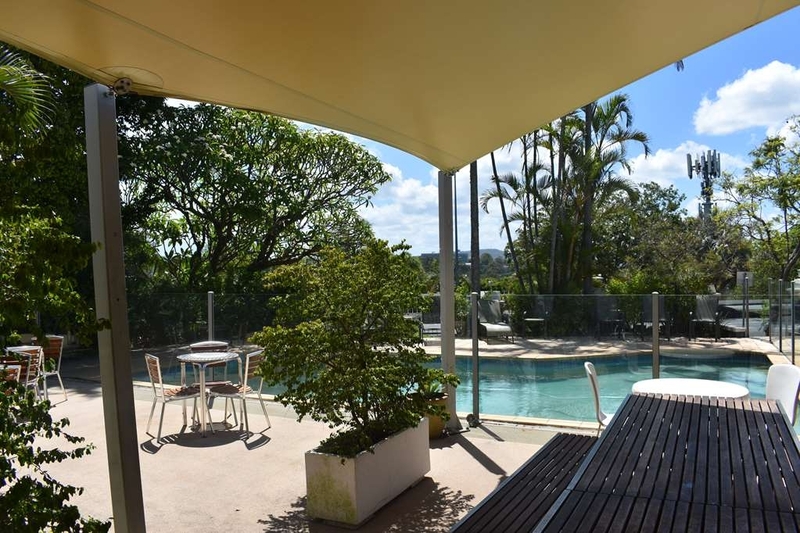 You can miss this property -it's so well hidden on Gregory Terrace. The front office does not follow the advice in the room compendium -ie open non stop for most day hours. Frequently there is a notice to call 9 on the house phone. The rooms are good and clean -although the bathroom is a little dated. 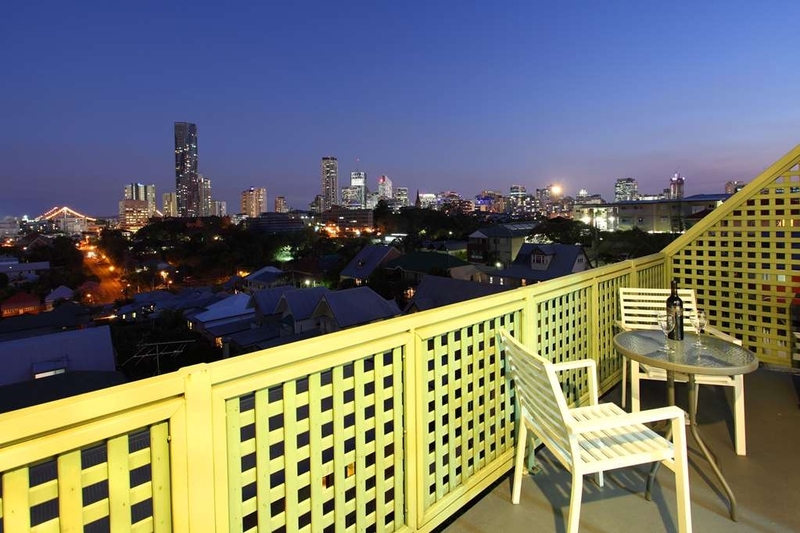 The rooms on the back of the property have excellent views over Brisbane's CBD and Storey Bridge -worth the view. But for the bathroom I would have given another star. Was ok but pool looked merky so couldn't swim. The restaurant was ok but bit pricey for amount served. No kitchen in our room just bar fridge. No plates or cutlery. Staff were nice. Was only there 1 night for medical reasons so was ok for the night. Wifi didn't work in the room. We stayed 4 nights and had a very comfortable room over looking the city. Spacious and clean. We had a good sleep on the bed. It appears that the owners are slowly upgrading rooms and the beds are new. Good size wardrobe and bench space. The balcony was a great place to sit and have drinks and watch the lights in the night. Two big pluses for me in the bathroom was a night light under the vanity. So important when you are not used to the area and have to get up during the night. A shelf in the shower/bath for your shampoos etc. Not many places have these and I'm always excited to see. However the bath/shower wasn't very good. The shower head was good but I don't like the combined shower/bath taps. Also the glass screen with the swing door makes it awkward to turn on tap to get a temp control. The said swing door does not keep the water in, the gap under neath resulted with the water flowing into the floor. Every morning our bath mat was soaking wet from the first shower. If there was a preference I would opt for a room with just a shower. Even with a hand rail, difficulty in getting in and out of bath. We ate breakfast and dinner at the restaurant. The scrambled eggs were delicious. My pork burger was also delicious. Twice we had room service and the pizza was tops and the crumbed chicken was just perfect, very moist, not over cooked. The chips were nice and crunchy. The little pot of salad was the best I have ever tasted. Not a tired looking salad on the side. Extremely fresh, just the right amount and with dressing. However, with the chicken, I would have liked some gravy, sauce or even a bit of lemon. Should have asked because the staff were wonderful and very accommodating. A very good stay, lovely area. Partner likes to run in the mornings and went to the park across the road. He also used the swimming pool at the hotel. Big tick. I picked this hotel because of its location, secure parking and reasonable price. Moreover, it's Best Western so I was expecting a good pick. I am not picky but the truth is I was very disappointed with the cleanliness of the room, especially sheets (hair on sheets). Thank you for your feedback regarding your stay On behalf of our entire team, I would like to apologize for not exceeding your expectations. Your satisfaction is important to us and we will be using the feedback you gave us to implement improvements to ensure we offer a better experience for guests in the future. I hope that you will consider staying with us again so that we can have another chance to provide you with a superior experience. I have always found the rooms clean and well set out. They usually have the daily newspaper which is very important to me. The staff are lovely and very helpful, unfortunately the restaurant Let's them down. The menu is very limited and overpriced. Burgers?? It would be better to eat elsewhere if you are looking for variety and value! This includes breakfast as well. "Two night stay - very quiet location"
This was my first time staying at this motel. Whilst on a main road, the building is solid brick and there is no noise from adjacent rooms, aside from the subdued gurgle of a shower being run. The rooms have a balcony (room 32's faces north) overlooking the pool; the balconies have glass/metal tables and chairs, making for a pleasant place to sit and read. The room itself is spacious and comfortable; the beds are very comfortable with extra blankets in the wardrobe. The only thing amiss was the fitout of the bathroom - whilst perfectly clean the fittings (taps and towel rails) were coming loose which I duly reported to Reception upon checkout. The onsite restaurant is very convenient for breakfast, coffee and cake, lunch and dinner with the wait staff especially accommodating. Recommended is the entree size pesto pasta dish and the creme caramel for dessert, as well as the iced mocha. "Clean accomodation close to Tivoli Theatre"
Easy to access, pleasant clean standard room, secure car parking underneath, close to city and walking distance to Tivoli Theatre to see shows. Breakfast, dinner and bar area available and nice area to sit outside. Stayed there for a week. Room was a bit strange. Got a family room but just look like 2 bedrooms. No lounge and not good for sitting 4 people ? Another than that all was pretty good. Nice and clean. Restuartant staff need a bot more attention to service but generally friendly. "Good accommodation at a reasonable rate"
Stayed here as it was close to the city as well as the cruise terminal. Hotel room was clean and a good size. Went to unlock the door out to the courtyard however the key that we were given did not fit the lock so had to get the receptionist to unlock it for us. This could be problematic in the event of a fire as you couldn't get out that was. Once we got the air con to work, it was fine, however the fan in the bathroom was very loud and was on all night. It turned off during the day time which didn't help clearing the steam during a shower. Although reasonably close to the city, it is on a hill so the walk back to the hotel was a bit of a stretch. $13-15 by taxi, a bit less by Uber. Overall a comfortable stay for a short time (2 nights). Thank you for reviewing your stay with us. Your feedback assists us in our training and development of our services and facilities. We hope we may see you again if back in Brisbane. Thank you for taking the time to review your stay. On behalf of our entire team, I would like to apologize for not exceeding your expectations. Your satisfaction is important to us and we will be using the feedback you gave us to implement improvements to ensure we offer a better experience for guests in the future. "A little gem -close to the Brisbane CBD and in particular St Andrews War Memorial Hospital"
I discovered this place by misadventure. My wife was hospitalised for 6 nights and I was unable to continue at my city apartment. A criteria was it had to be close to St Andrews hospital. While there were a couple of options closer - one was booked out and the other would have been quite expensive. This motel is ~ 30 years old however maintenance has generally been kept up to scratch. The setting is very quiet -apart from 2 giggly girls who arrived home, slamming doors (next door) at 3.00 am on Sunday morning with zero thought for any body. They lit up (breaching no smoking policy anywhere on the property and chattered on until I stepped on to the balcony -a few choice words and the problem was solved. The Manager, next day, pointed out that 24 hour help was a phone call away. The cafe/restaurant was open for breakfast,lunch and dinner as well as coffee/snacks all day. The menu is limited but quite tasty. The room we had (facing Gregory Terrace) was comfortable (not large) and quite functional. Direct taxi phone was available in the foyer. The rooms at the back of the property have the city views. The staff were multi skilled and helpful and friendly. We will definitely go back to this property next year (A nice way of escaping the Melbourne winter). "Large room and well located hotel"
Large room, good wi-fi, well located hotel, quiet neighborhood and easy access to downtown. Ample free parking. Ample free parking. Courteous service. Good outdoor pool. Best Western Standard. Excellent for short periods of stay. "Great base for a Brisbane stay"
With all hotels in this price range there are always pros and cons. I did not mind the place but it had problems. Pros: nice spacious room with a great view, big tv, free underground carpark, wonderful restaurant with delicious breakfast, great friendly staff and nice large bath sheets. Cons: free wifi was flaky and useless in the room and works sometimes in the restaurant, shower head was leaky and loose, pin pad to control the door to the underground carpark requires 2 people in the car otherwise the driver will have to get out of the car to key in code and the pillows were too soft (both of them). The pros far outweigh the cons. The location of the hotel is quite convenient too. Thank you for taking the time to review your stay with us We value your feedback. By telling us what you liked about your stay and how we can improve, you are helping us deliver a superior experience for you and other guests in the future. We hope you will come back and see us again soon. "Ok for a short stay "
We stayed in Room #4 on the lower ground level. The room was a bit tight for 3, but it has city views. The toom was clean. The queen sized bed was firm enough for a good night sleep. The bathroom was a bit tired. Staff were nice, friendly & helpful. The location is not the best. Walking downhill to the CBD takes about 20 mins. To avoid walking uphill back to the hotel from the CBD, one of the options is take bus #321 from Queens St Stop #58 in the city, but it's infrequent (every 30-60 mins) & unreliable. "An excellent base to party in Brisbane"
Three couples, three clean, comfortable rooms, and a weekend to celebrate a dear friends' birthday. Of course, comfortable beds made for an easy Saturday afternoon “nanna nap” prior to heading out to party - we're not quite as young as we used to be. We were greeted by friendly staff who were happy to hold our luggage - we were on a very early flight into Brisbane - and that allowed us to head out to lunch and a tour of Brisbane. We needed a short extension lead for an appliance we bought with us - no problem, power board found. A good iron and ironing board helped us look our best as we headed out. Breakfast and coffee on Sunday were just what we needed. The three egg omelette prompted my wife to pay compliments to the chef - and she's use to top quality fare in and around our home in Sydney. My poached eggs with bernaise sauce and smoked salmon was just perfect. 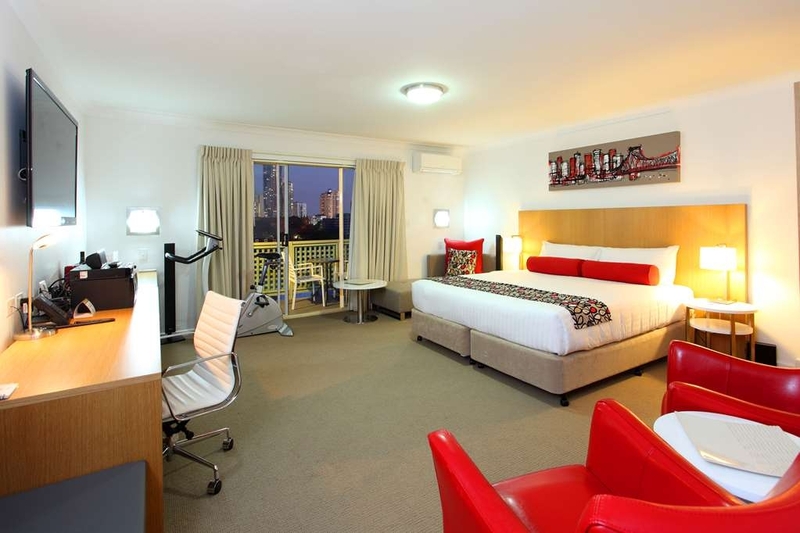 Although a fleeting trip to Brisbane, the Best Western Plus on Gregory Terrace is where we always stay in Brisbane. A very pleasant stay, good staff, great location. We felt relaxed but felt the decor in our room was a little "jaded" . Car park security panel was awkwardly placed You had to get out of the car to open it. Was in Brisbane for a family wedding and wanted accommodation close to reception with car parking. Let us have our room early to prepare for wedding as our timing was tight. Car parking was secure (underneath the premises) and once in garage there is a lift up to reception. Wonderful restaurant/cafe/bar on site where we had morning tea and afternoon drinks between wedding and reception. Their resident chef bakes the most amazing coconut muffins, among other things of course, and the coffee was great too. All staff were friendly, helpful and professional. Highly recommend. "Best Western NOT SO PLUS"
Thank you for taking the time to review you stay What an unfortunate event for us all with regards to the kitchen extractor fan, I understand you were here when it decided to throw a blade (that horrid noise that woke you), thankfully our electrician has now replaced this. We appreciate your feedback on the broken cupboard handles allowing us to have these repaired also. Thank you for your kind words regarding our staff. Perfect for what we required for our overnight stay in Brisbane. Family of four; easy to locate, undercover parking, large room with clean facilities. Friendly and helpful staff. Great little restaurant with delicious main meals. Our room had been recently redecorated and had some nice views of downtown Brisbane. But the lack of cleanliness and customer service made our stay terrible. The carpets were stained, but worse of all, there were toiletries left in the shower from the previous visitors. Obviously the shower hadn't been cleaned at all. The front desk attendant, Anna, was less then helpful, telling me the cleaners wouldn't be in until 10am. She had me come down to the front desk and pickup keys to have a shower in another unoccupied room. Just silly. We had other friends stay in two of the hotels suites which were even dirtier and less pleasant than ours. "Not quite what I expect from Best Western"
Have stayed here on a number of occasions mainly because it is located close to where e need to be for medical appointments. Have had various rooms on these stays and mostly they are very average, Our recent stay was room 27 which had badly stained carpet which looks like it has not been cleaned other than an occasional vacuum since the day it was laid. The bathroom shows evidence of an attempt to renovate sometime however the glaring omission was the shower cubicle. Mould in grout and silastic sealant and floor pan old and yellowed whilst everything else, apart from dust on the back of the door, appeared bright and clean. We dined in the restaurant and were very disappointed with our dinner. Ordered rump steak which was akin to the sole of my boot! One steak was cooked to perfection (medium rare as ordered), shame about the toughness. Other steak was also ordered medium rare but was still mooing, and also inferior quality. If you dine here do not order the rump steak, not worth the price and served with a small salad and small quantity of cips. Must say the chips were perfect though. Thank you for sharing your thoughts. We appeciate feedback as it gives us the opportunity to rectify any concerns you may have to assist you and other guests enjoy their stay more in the future. We booked this room because we were able to get a 2 bedroom suite. We were allowed to check in early, the rooms were clean and well stocked and the location was great. Just a 10 minute uber ride from downtown but far enough out of the city to be reasonably priced. Would stay here again if in the Brisbane area. "Nice Hotel but could be a challenge for wheelchair guest"
Lovely hotel that was very comfortable and welcoming/helpful staff, but check-in required climbing a long set of stairs to get to the reception lobby from the street. Once checked in there was a street level garage that was handicap accessible, but you need a code to open the garage door to gain access. Thank you for your review and your feedback. We ensure to make prior arrangements for people in a wheelchair so they do not have to come up the 4 steps at the front of the building. "Sewage problem - 3 star at its best - false advertising - poor linen etc"
NOT 4 star. Corp King room booked not like pics, downgraded to queen diff was refunded. Hit and miss food & exp, stained carpet, thread bearing linen and stained. Poo smell due to sewage prob. But great customer service. Previous guest hair on linen. Thank you for your feedback Nelly B The smell from the street, not our property, was sadly beyond our control I see your booking was not as you had originally thought however you were moved to a Superior room and only charged for a Standard room Thank you for mentioning our staffs great customer service, i will ensure the give then your feedback. "Great customer service, Pity about the cleanliness"
Nice location if you have a car (Secure parking), price reasonable, Fantastic customer service. Room cleanliness in need of attention. Expressed concerns, given another room which was no better, eventually upgraded, concerns about cleanliness remained. If cleanliness issue is addressed by management then it would be excellent value for money. I would highly advise caution on staying at this place. The room on arrival was still filthy and unmade or cleaned from the previous occupants. I was given a new room, however the carpets werent vacuumed, the entire room had a thick layer of dust coating it, the bed did not have clean sheets as there was hair all over the pillow cases and throughout the sheets and the bathroom had not been cleaned with hair all over the bathtub.. This is highly unacceptable and i will never come back to this place. We enjoyed the peacefulness of this place. The staff were very obliging. There is a swimming pool & a restaurant. 5 mins walk to local shops, 20mins to the city. Clean & comfortable. A good stop over place before departing from Brisbane Airport. This has to be the most disgusting place I have ever stayed. The sheets were dirty The bathroom floor un mopped and had pee on it The bathroom mirror covered in marks The front of the fridge brown and marked The kettle full of the last peoples water A door stopper that sits in the floor in the middle of the room which is so damn dangerous The back table covered in tobacco The front of the vanity covered in what I am going to assume is coffee The coffee mugs unwashed The robe! The robe was filthy from the last person!! Or possibly further back - the whole entire edge of the collar was covered in makeup or fake tan... this is absolutely appalling. Why would this kind of thing not be checked. The housekeeping staff clearly have no sense of pride when it comes to cleaning and most of all no sense of cleanliness. I would not in a thousand years recommend this motel to anyone. $170+ a night for what filth!!! Great location at an affordable price. Parking bays were a bit tight but couldn't find anything negative about the accommodation. Rooms were large, beds very comfortable. It's an easy walk into the city via the beautiful roma parklands. Breakfast was delicious. Stayed here for a night out. Close enough to city, great views of the city. Comfortable room with nice enough decor. Was expecting a lot worse for what i paid, but was pleasantly surprised. Would stay again! This was a great spot for a wedding at Victoria Park Golf Club and with comfortable beds and a very quite room it was good value for money. Check in was fast and efficient and we even had no trouble with an early check in to get ready for a 3pm wedding. The beds were super comfortable with lovely big white towels and good air-conditioning on a very hot day. 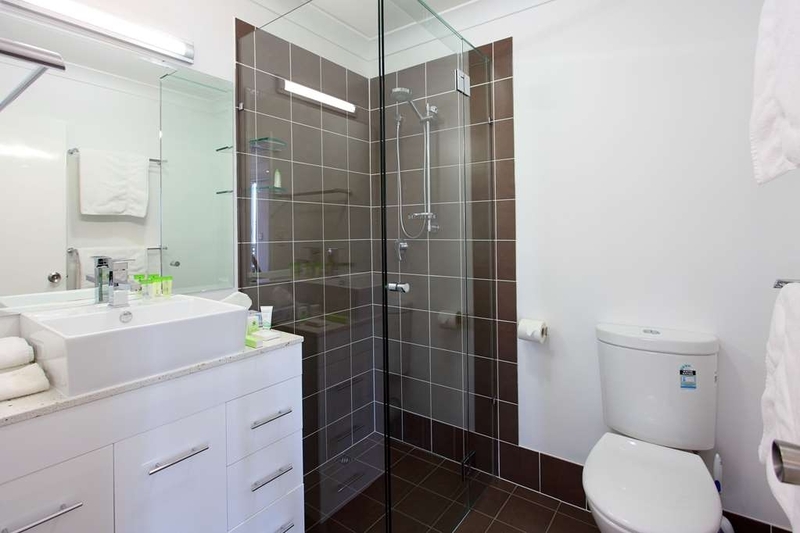 The room was showing a little wear and tear but nothing major and it may be hard for older people to get in and out of the shower over the bath. The car park was very cramped for our 4wd but no big deal. "Great location. Close to city but quiet." We have stayed here twice in the last couple of months and were impressed both times. Both times we took advantage of Groupon deal which included dinner and breakfast. Outstanding value for money. Special commendation to Jeremy who attended us on our recent trip for both dinner and breakfast at the restaurant. He was very pleasant, helpful and obliging and nothing was too much trouble for him. The meals this time were a slight let down. The chips were very good but the rest of the food was just ok. Cappuccino at breakfast however was very good. Reception staff were pleasant. The room was a good size and the bed was reasonably comfortable. General cleanliness of the room was another let down. There was a stray dark hair in the hand basin on arrival and one of the tea spoons had the remnants of what I hope was coffee on it. Under the bed was also quite dirty. Overall we enjoyed our stay and will return. Attention to detail in the cleaning department and restaurant and an "excellent" rating would be warranted. My husband and I stayed here in mid-September for two nights. The hotel is a little out of the way, in a quiet area. It is a bit dated but has a lovely pool area. We ate breakfast at the restaurant and found it to be tasty and reasonably priced. The front desk Manager, Lauren, is exceptional. She was welcoming, efficient, and very helpful with local knowledge. 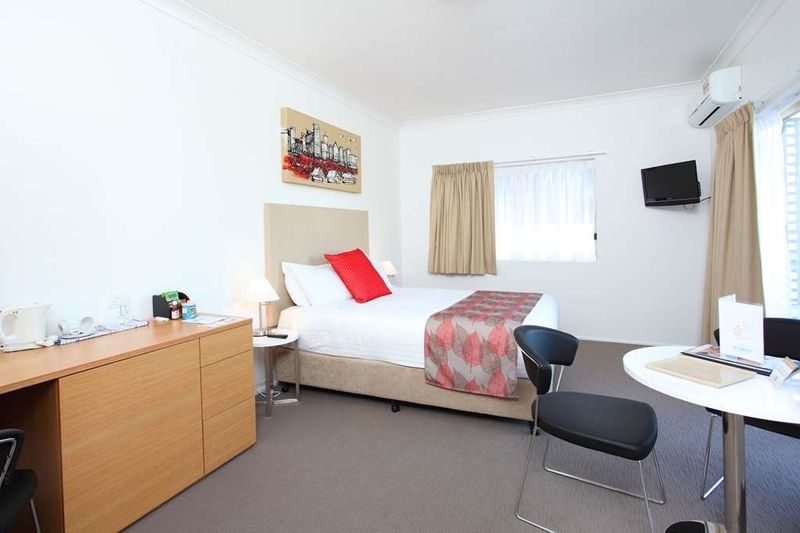 "Lovely place with exceptional service"
A little away from the CBD but if you want free parking, clean and quiet rooms with no fuss and warm and friendly people this is your place. Breakfast was lovely - freshly cooked brought to the table with a smile. Love the supply of free newspapers to read too. "4 Star, I don't think so!!" This could be a lovely place to stay, but is long overdue for an update, but an easy walk to the Ekka, but an uphill climb back! The room was clean, but the floors were stained both tile and carpet, the bed was comfy, pillows lumpy and the outdoor balcony has no privacy from the next-door balcony. The staff was very good, happy and helpful, except for the cranky cleaner. A one-night stay was quite a pleasant experience. The location is on the fringe of the Brisbane CBD and was chosen to avoid heavy traffic and getting lost navigating into and out of the CBD. It is only a 15 to 20 minute walk from the hotel to the CBD. Room was nicely decorated, and there was free car parking and free internet access. 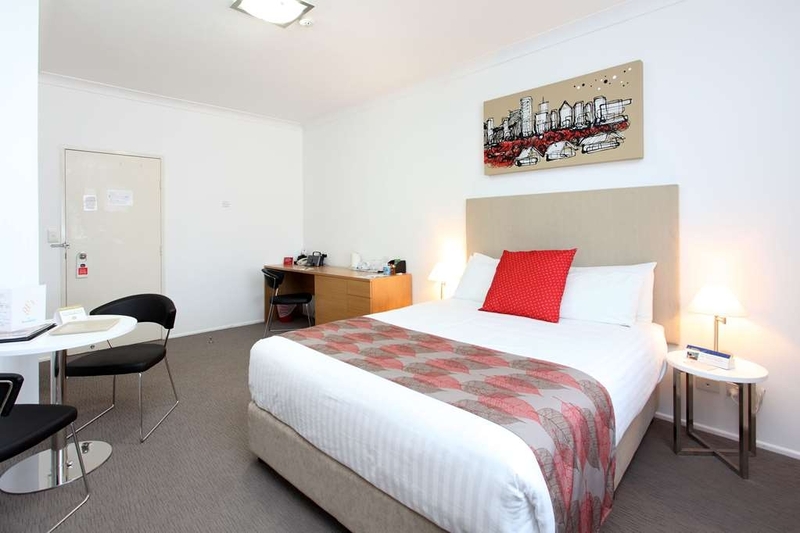 "Good handy Hotel to central Brisbane"
Clean and spacious room, comfortable bed. Friendly and helpful staff. We booked this thru Groupon so dinner and breakfast was included and the food was great. Also free parking and wifi. The location is a bit far from the shops/ CBD but the bus stops right in front of the hotel. "Decent motel to stay for business." I stayed at this motel a week ago to the night. Very friendly staff, really good sized room and a great location. Everything is clean and as you would expect. I had dinner there which wasn't bad, but stupidly over priced for what you get. Would stay again. While this hotel is in a great position in Brisbane City, it lets itself down with lacklustre staff and adequate room cleanliness. The waitress at the restaurant at night was lovely and I think the other staff could learn something from her. 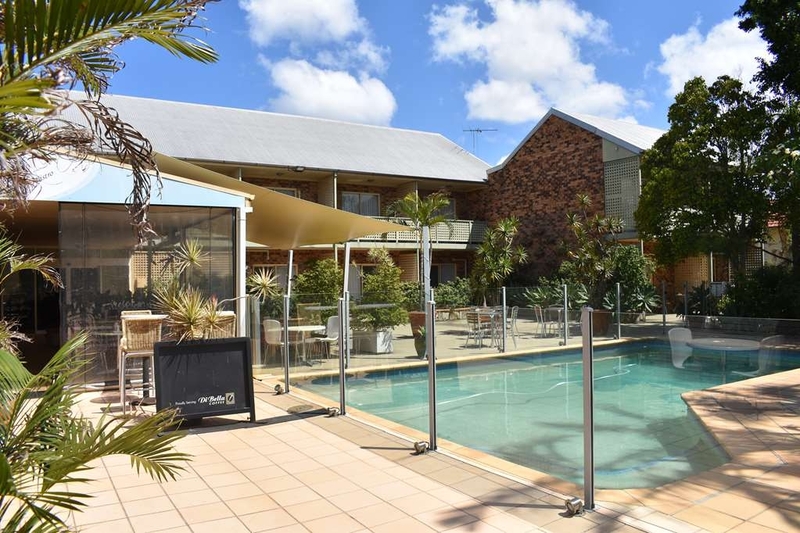 Overall a good place to stay especially if you are there for the Ekka! It is in walking distance. We arrived and were checked straight in to our room around 11:30am which was wonderful by a cheerful receptionist. After dropping our bags we headed straight to the Ekka and didn't come back until 8:30-8:45pm. A nice enough room for an overnight stay. Only negatives were some hair in the shower and that you could hear noise through a locked connecting door to another hotel room - you could hear talking. This would not be good if neighbours were noisy and prone to staying up late. Fortunately for us the neighbours were our family so that was ok. The paint in the bathroom was a little worn and marked up around the edges - which would be age appropriate. Comfortable bed and clean linen. A little balcony with chair and table provided. The air conditioner was an individual unit for the room. The Best Western has a nice looking pool and an outside area with lots of seating which is well presented and has a nice atmosphere for a drink or a meal from their restaurant. They had heaters at the under cover tables. Overall I had a restful sleep which is exactly what you want before the long drive home. Checking out was easy! "Great Location & Free Parking"
Easy check in and out, the room was ready before the standard check in time. Convenient location for car use and walking. The staff was very helpful in giving information and guidance. The restaurant food was of a high standard and good value for money. Wifi was fast and unlimited download. The decor is starting to show its age and comparatively it's no longer value for money. Thank you for providing your feedback on your stay. We are pleased your stay was enjoyable and appreciate your thoughts. Booked in late and pre paid with Expedia. Room was clean, a fairly standard 4 star type that always need a bit of renovating. Restaurant was closed on arrival but the ambience looked great so would definitely try to get there earlier on another visit. Thank you Charles We are pleased you enjoyed your stay and look forward to welcoming you on a future visit to Brisbane. "Nothing nearby - worst WiFi"
Stayed here 3 nights in July 2016. Room number 24. Nice view to the city. From the airport it was about 40-50 dollars. The hotel is near nothing interesting. It was a good 30min walk to downtown Brisbane. A few bad hills on the way as well. The room was clean, bed was big but bathtub was really small. Did not fit into it at all. The washing machine is in the basement and out of the 4 machines they had only one was working. When the elevator door closes in the basement, you need to take the stairs up, because there is no elevator button in the basement so you can only go in but not get out with the elevator. Nice touch. The WiFi in the room was next to nothing. It only worked on a 30cm area on our bed for a while with really bad connection. Better to think there is no internet in the room. Only in the lobby and restaurant. The restaurant was very plain. There was a tv that on all the time so people watched Volcano starring Tommy Lee Jones while eating a stake. Romantic. The food was ok. A bit over priced and the selection is really simple. There was one turkey club sandwich that was pure awesomeness and the flat white coffee was really good. One star for that alone. The staff was nice. Price /night was too much. Should have been like 50-60 dollars but it was over 80 dollars. The room was sold as a refurbished but the only thing was a larger TV the bath room was moldy around the bath/ shower area. Don't buy breakfast there it's a rip off $18.50 for continental breakfast go to a cafe you can get a hot breakfast for that !!!!!!! Right in the city but very quiet and lovely place to stay good food good staff good wife. And good value. The property name tells you where it is. Park down the side street in front of the garage and walk up to reception. Great to hear you enjoyed your stay with us Gil It was a pleasure having you with us, and we look forward to your next visit. "Great hotel and value for money"
City views, robe in room, large room, large bathroom, comfortable bed and stay. Friendly staff always willing to help and go out of their way and all at a fantastic price! Better than the big chain hotels! Will be back. Wonderful to read your review Herbert Am pleased our staff look after you and you enjoyed our spacious rooms. We look forward to seeing you on your next visit to Brisbane. The hotel and staff are lovely. The hotel is so central to where ever you want to go, be it to the city centre or take off to the coasts. We had a lovely balcony from which we could see the city centre and the lovely homes around the streets; just loved spending breakfast time there, so relaxing. Am looking forward to going back again some time. Wonderful to see your stay was enjoyable. We love our location and great to see you did to. We look forward to welcoming you back soon. The staff were very professional and helpful and the amenities were great - location was exactly what we wanted and the price was reasonable. We would use the hotel again and would recommend it to friends and family. Thanks again Karen It is great to see you had a great stay, we look forward to welcoming you back again soon. "Great stay in Brisbane city"
A hotel is a hotel is a hotel. If all other things are equal, it's usually the staff who make the difference. That was the case on my recent stay (thanks, Estelle). Great experience, and I won't hesitate to book in there when I'm next staying in Brisbane. (And the hill the hotel sits on was perfect for my morning running). Owen we are so pleased you enjoyed your stay. Estelle is thrilled she made your stay a great one. We look forward to meeting again. Only stayed one night to go to the footy at Suncorp Stadium. For which this Hotel was in a great location. Room was nice and tidy with all the amenities expected. Free undercover parking is an extra bonus so close to the city. Great to see you enjoyed your stay. I hope you enjoyed the game at Suncorp Stadium, it is great being so close. A lot of people choose to walk from here. We hope to see you again soon. "Very nice hotel, Excellent Staff! " So refreshing to read your wonderful review. We work hard to ensure all guests enjoy their stay and we are thrilled when we see we succeed. We do hope to welcome you back again soon. "Great option at the prices available"
I stayed here for 3 days recently and will be happy to return the next time I am working in Brisbane. I was working at night and sleeping during the day and found the room to be very quiet meaning I had no problem with noise. The staff were very helpful and the restaurant is convenient as it is a bit of a walk or short drive to the nearest food outlets. The room was kept very clean and had a nice balcony. Great value stay in comparison to other places in the area. Great to see your stay was enjoyable and you were comfortable throughout. We hope we get to welcome you back again on your next visit. 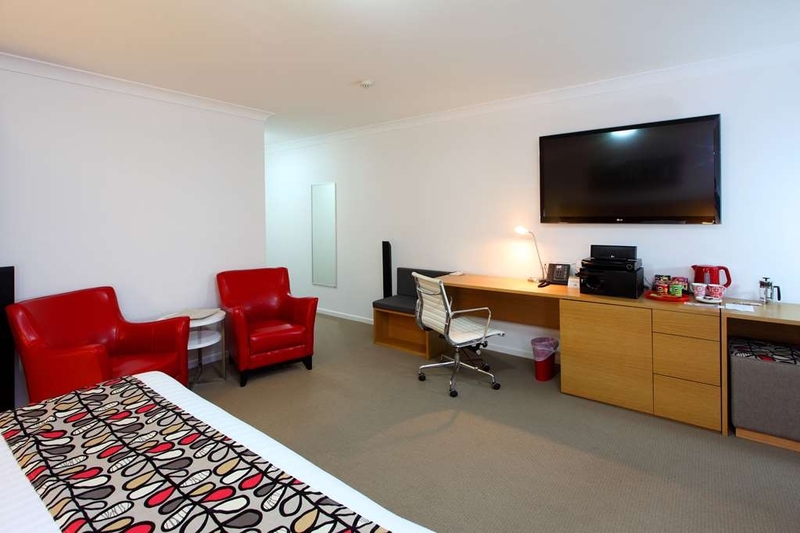 Excellent Motel, well located to Brisbane exhibition grounds. Restaurant was good. Secured Parking most appreciated. Friendly Staff. Only minus was Foxtel not working for three days. Took three request to have it fixed, then to be told it could not be fixed till after the weekend. Thank you Robert great to hear you enjoyed your stay. Foxtel is now working again thanks to their Tech's visit on Monday, it was unfortunate that it could not be brought back online during your weekend stay. We do hope you consider us on future visits to Brisbane. "Nice spot with a good restaurant "
Stayed here for 2 nights after overseas flight from LAX. Very helpful front desk and good prices at the restaurant on site. Food was great, well prepared and very quiet location, easy to walk to necessary places. Would recommend to all travelers wishing this area. Thank you Bob. Wonderful that your stay was so enjoyable. We appreciate you taking the time to write your review. "Value for Money and Good Location"
I was surprised to find this little beauty still available for the Bronocs Cowboys Game in March 2016. Beauty it was, fresh, vibrant rooms and friendly staff. We walked almost everywhere... If we were staying longer we would have eaten in the restaurant as the food we saw and the menu looked great. BYO alcohol though if you plan to drink whilst away or in the room. Little too expensive to buy from the hotel. The staff at this property were very welcoming and friendly. Very comfortable beds, spotlessly clean rooms and the restaurant was very reasonably priced. It was a nice touch to walk into the room on check-in after a long hot day, and find the air-conditioning switched on. The Wheelchair Accessible room had 1 single bed and a king bed. The room was very small for someone in a large powerchair. It was very clean and had a reasonable sized bathroom with seperate shower chair with railings next to the toilet and in the shower. The balcony wasnt very wide and was inaccessible due to the step up to the balcony. There was a spectacular view of the city from the balcony and the room was very quiet. The free WiFi was intermittant for the 4 days we were there. The restaurant was quite pricey and the food was not all that enticing. Love the free underground parking and closeness to the city and RBW hospital. Thank you for your review, it is appreciated that you take the time to provide your feedback to us. We introduced at new menu on the 1st May so I do hope you may choose to stay again. "Friendly Helpful Staff and Well Appointed"
I was working in Brisbane and looking for a hotel in or near the city. The location of the hotel is great. Easy access to the city and it has free car parking (at no extra cost) which is a real bonus. But the biggest surprise was that the hotel is well appointed and I had a nice little private balcony overlooking the city. The hotel also has a great little cafe where you can sit inside or outside around the pool ... and the staff are very customer focused and really helpful and here are a couple of examples:. I did not arrive until 11pm and even though reception was closed at that time, there was someone there to greet me within seconds of arriving. I managed to hurt my foot while I was there and when I asked for some ice from the kitchen (for my foot) they went over and above, and got me a flexible ice brick that I could wrap around my foot. This made the world of difference and I was able to continue working the next day. This is the level of service you expect from a much higher priced hotel. I also had to stay an extra night and they extended my stay at the rate of my original booking, which was great. All of the appliances worked (usually there is some issue with a tele or air-conditioner) but not in this case. The only thing to note is the room does not have any 'food making' facilities but it does have tea and coffee making facilities and a small mini bar. Overall - If you are looking for somewhere to stay in or near the city, at a reasonable price and want to know you will be looked after. Give this location a go. "very comforable beds, and convenient location"
pleasant staff, great comfort for sleeping and free car parking. This hotel is a great place at the price. The fact I have to write 200 characters is really a pain, as the first two sentences are very accurate for others to understand what I want to say. "Handy Location, Wouldn't stay again though"
Thank you for providing your feedback regarding your stay with us. We value this as it assists us in our training and development to provide you and other guests with a wonderful experience. The screen door option sounds good, thank you. Excellent experience. The room was very good and the staff could not do enough for you very friendly. Location was perfect. Taxi pick up out front of Best Western and travel to Suncorp Stadium at in about 15 minutes. Great to hear you enjoyed your stay with us. We look forward to welcoming you back again soon. "Could say nothing bad about here. Absolutely wonderful stay"
The hotel has it's own free parking. There was a person that commented that it was hard to get into the garage. It is not hard, it just involves getting out of the vehicle and using your legs to walk to the key pad. Not exactly hard work for free underground parking! There was also free wifi throughout the whole establishment. There is a small pool and outside and inside eating area. I ate here a couple of times and the food was pleasant. The room was immaculate and my entire trip was undisturbed and perfectly quiet! Also a nice balcony to sit on. The thing that makes this place so much better than others is the staff. They are all amazing. Not forced and polite, just genuinely helpful and can't do enough to help. Always a friendly word on a morning and even when busy, apologised for being a bit pushed and were lovely about everything. I will 100 percent stay again if in Brisbane as the whole thing was a total pleasure. Also they have a little coffee shop and do a gorgeous latte on a morning. As well as the car park they have a laundry, so if you are an on the road traveller like myself, you can wash, dry and do clothes. Really excellent little gem. I also found walking into the city didn't take long. About 20 mins if that. Thank you, it is so refreshing to read your review. We are so pleased to hear you enjoyed your stay and all our hotel has to offer. Our staff were thrilled when we told them of your kind words as they genuinely love conversing with our guests. We hope to welcome you back soon. The establishments photos make this place look all new and modern. Our room was not. The room we had tried to look updated but not the sleek look showed in the photos. However it was clean, spacious, and fine for the one night we were there. Our shower was in the bathtub which had a high side to step over. Bathroom was large, but sink counter area small. You almost had to get off the toilet to get your toilet paper. We didn't want to go out in traffic again so we ate dinner at the restaurant. There were 3 other tables seated when we arrived and it was later in the evening. Our meals were slow to come out of the kitchen. Our waitress said it was due to a table of 6 that ordered before us. We also ended up eating breakfast there out of convenience. Neither meal was bad, just not anything to write about. It was nice that parking was available under the building, but was a bit hard to access and limited spaces. Our stay there was fine, but if ever back in Brisbane we'd stay elsewhere. Thank you for providing your feedback regarding your stay with us. 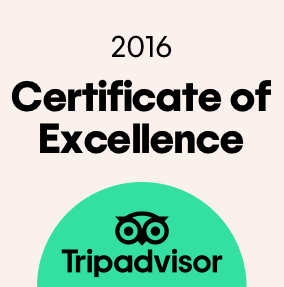 We value this as it assists us in our training and development to provide you and other guests with a wonderful experience. We hope you may change your mind and visit us again and hopefully enjoy the new restaurant menu launching on the 1st May. Thank you for providing your feedback regarding your stay with us. We value this as it assists us in our training and development to provide you and other guests with a wonderful experience. I had a one night stay here before an early flight out of Brisbane. It was great for that purpose. Free wifi, bar and restaurant in site, helpful staff, very quiet. All I needed before heading home. I didn't have a car but believe there is free parking and a good local bus service. Thank you Sarah We hope to see you again if you are back in Brisbane. Its great to hear you enjoyed your stay. "A great place to stop for the night"
A clean and tidy room which is quite central to everything, but away from the hustle and bustle. There is underground, secure parking and a restaurant on site. The food was quite simple, but tasty. The staff are friendly and helpful. Thank you for taking the time to review your stay. Your positive feedback is great to read. We hope you will visit us again soon and enjoy our hotel once more. 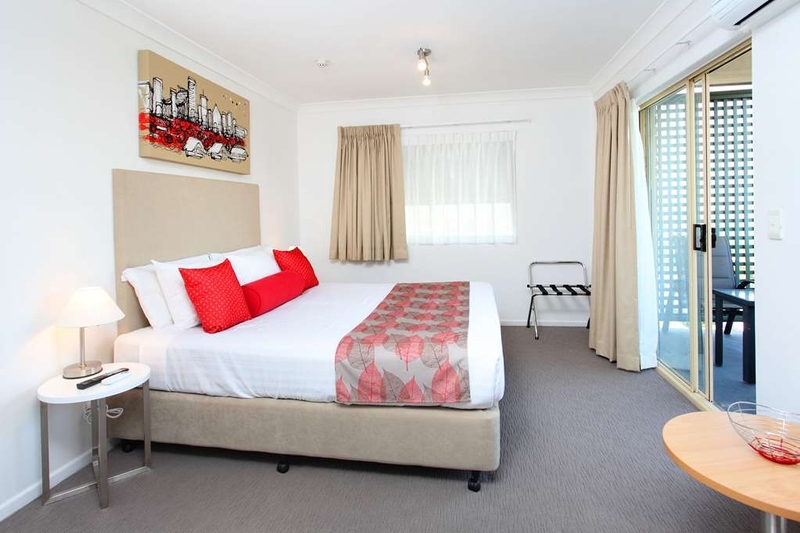 "A great spot for a near-city stay"
The refurbished rooms are very comfortable and some have a balcony with city views. Service is very good, staff are helpful when needed and the restaurant provides a good quality menu. Free parking and in-room wifi are a great bonus. "Very good location and comfort"
While a little difficult to access the motel is good value, room size is much better than most, bed is very comfortable, restaurant on the premises is a real bonus and each room has a great view over the city. "An older hotel but excellent none the less"
This hotel has a great pool, Pool is facing west so loads of sunshine all afternoon. The staff are easy going, very relaxed,there is a great view, and its close to the city but a car is good option here. Underground car parking is free. Thank you Andrew Glad you enjoyed the pool and our welcoming staff helped make your stay enjoyable. You are correct in saying that a car is nice to have when a walk into the city is about 25 minutes, at least the bus stop at the door is a great back up. The hotel is very old and on a main road, on arrival it appears very different to pictures portrayed on the website and booking sites. The restaurant is pretty bleak and the breakfast was of quite a poor standard. The eggs were under cooked and greasy whilst flies gathered on the fruit laid out for the buffet breakfast. There was blood on one of the towels in the bathroom. Not great value when you consider what is available else where in Brisbane. The swimming pool had the cleaning devise and hose left in for the entire of our stay. Thank you for taking the time to review your stay, your business is very important to us and we value your feedback. By telling us what you liked about your stay and how we can improve, you are helping us deliver a superior experience for you and other guests in the future. We hope you will come back and see us again soon. Motel was ok. Good location if you have a car. Queen size bed was broken on one side and sagged. My partner now has a really bad back. We sat on the single bed in the room and the wheel fell off. It has obviously fallen off before because there was tape inside the wheel that had kept it on. For two days the cleaners didn't replace the bath mats or the tea/coffee/sugar. Had to ring and ask to this to be replaced. Thank you for bringing your concerns to us. Feedback is always appreciated as it assists us to create a better guest experience for yourself and other guests in the future. Please contact us if we can assist your accommodation needs when next in Brisbane. Great Hotel. Very friendly helpful staff who presented a smiling and happy. Nothing was to much trouble. Was upgraded to a suite on my third night. Very nice. Reasonably quiet and off street parking. Close to shopping, freeways etc. "Comfort, Convenience and Value for Money"
This Hotel offers a quiet and convenient base for my visits to Brisbane. The staff are friendly and professional and can not do enough to help you. This Hotel delivers comfort and service value levels often not seen in hotels charging 50 to 100% more. We had a little problem in the beginning as we couldn't check in the first night. We arrived late and couldn't get in to the Hotel as nobody was there to open us. So we had to look for another place. When we finally were able to check in the next day we both were really upset. The Lady who checked us in was very friendly and professional. Even though I had to pay for my stay in advance they payed me back for the first night and we had free dinner and breakfast the next day. The room was nice and had everything you need. The view was just amazing. As the Hotel is on a hill we had a great view of the Brisbane Skyline. I would definitely stay there again if I should ever be back in Brisbane. "Well located with free parking"
We stayed here for one night. 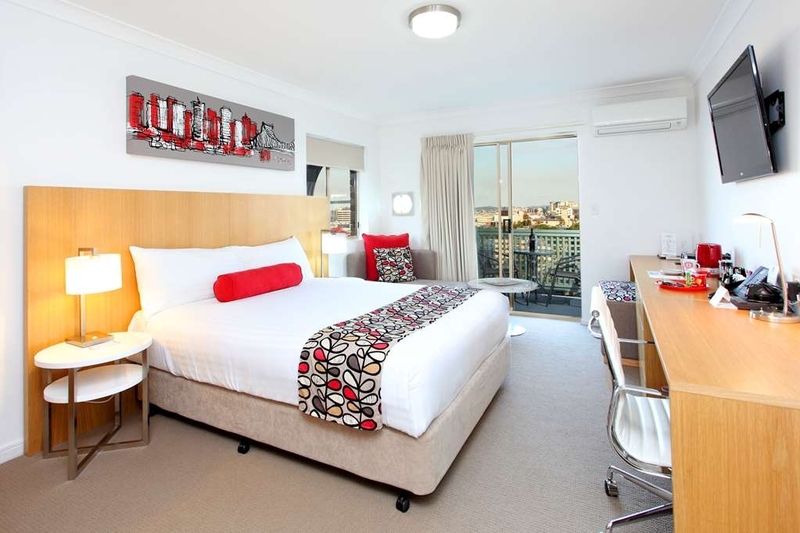 The hotel is very well located, within walking distance of the Brisbane CBD and Southbank. The room was modern and clean. We had a balcony with a fantastic view of the skyline of Brisbane as the hotel is on top of a hill. The main reason we chose this hotel over other options available was that it had free parking. Thanks Edward Great to hear your stay was enjoyable. Undercover, secure parking is definitely a winner in this area with CBD parking being so expensive. We hope we may see you again on a future visit to Brisbane. Great to hear you enjoyed your stay and the comfort of your room. We look forward to welcoming you back again soon. A really comfortable bed, bathroom shower head force was excellent and good food in cafe. The staff were friendly and helpful. 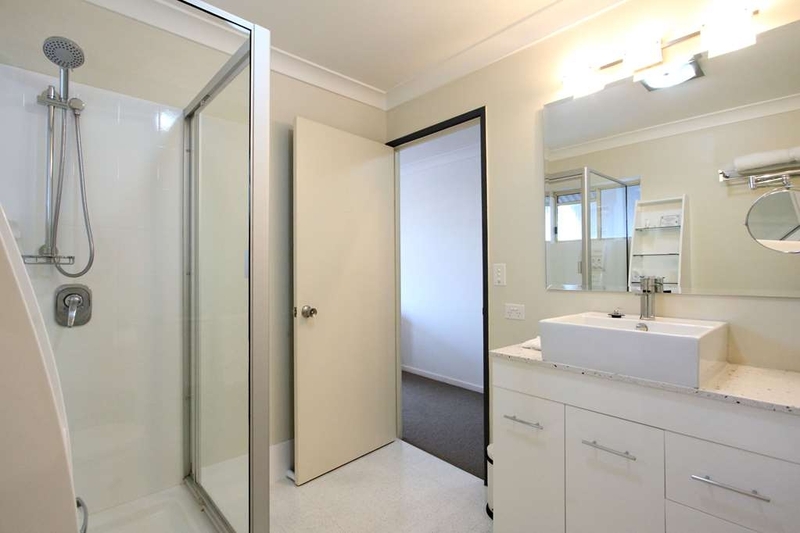 Very well located close to Brisbane CBD with secure underground parking. I would definitely stay again and highly recommend it. "Not The Best Location, but clean and comfortable"
Stayed here for three nights while visiting Brisbane. The location is average as it was not in the best walking distance to any train stations, although there was a bus right outside, it only came every hour and the last one to Gregory terrace was at 6pm. The hotel room was very nice, however could use an update to key cards instead of actual keys, as the room servicer forgot to lock our doors one of the days and although it seems to be in a safe area, it still put our items at risk of being stolen. The servicer also forgot to provide us with new towels and toiletries, and did not remove the old ones. Staff were friendly, service was good, but it is not in convenient location to the Brisbane CBD. I've stayed here twice now on business. The hotel is pretty average but it's clean & comfortable & has everything you need for a basic stay. The first time I stayed here I got a lower level room (number 5 i think) which had a fantastic view of the city. The second time I was on ground level (room 18) & that room wasn't as nice as it just looked out onto the courtyard. I've also eaten at the restaurant for breakfast which is pretty average but good to get your day started before work. Thank you for taking the time to review your stay. Please feel free to ask for an specific room types when you next book. The city views are pretty amazing! I have used this motel several times during the past 3 years. I have always found it to be clean, comfortable and well appointed. The staff are always very friendly and helpful. 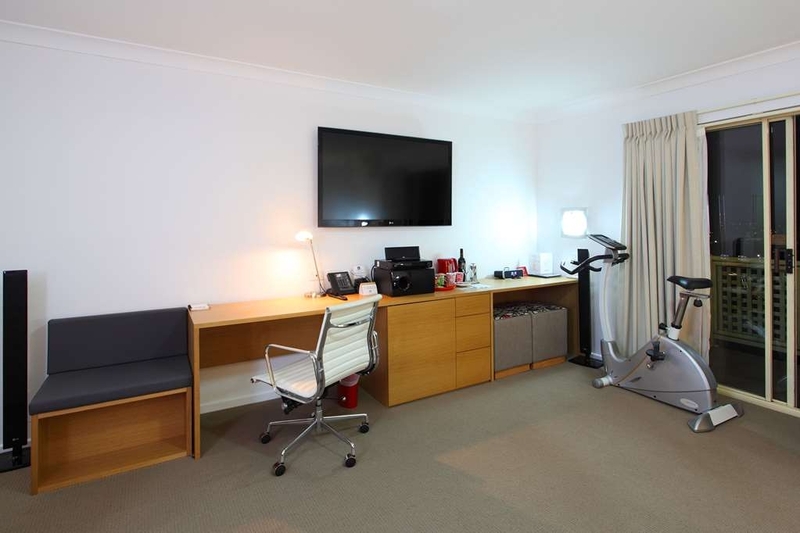 It is conveniently located to the CBD and restaurant areas. The motel has a very good restaurant available for breakfast , lunch and dinner. Some rooms have nice views of Brisbane CBD high rises. Thanks Paul Great you had another enjoyable stay. We look forward to welcoming you again soon. Thank you for your review. It is wonderful hearing our staff look after you so well and you enjoyed your stay. We do hope you will come back and see us again soon. "City edge quality and comfort"
Although the entrance is a little difficult for motorists the first time, it's certainly worth the effort. Secure parking, friendly welcome, in-house cafe and bar (very reasonable prices) and a decent sized room are the initial good points. Then we have the great towels (why can't all hotels have towels like these? ), the voluminous storage in bathroom and bedroom, and the superbly comfortable bed. The location suits me: one can leave without going into the CBD. If not driving, public transport is at the door. One of its attractions is that it is on the edge of the CBD: quieter, cheaper than those right in town. Of course there are minor niggles: the bedside lighting is inappropriate for reading in bed; I was disappointed that the receptionist could not direct me to the nearest newsagent. I am surprised at the adverse comments by others about the reception area: it is adequate for the purpose, and this is not a high-priced luxury hotel. Highly recommended for a near-city stopover or extended stay. Thank you for your feedback. It is great to hear you enjoyed your stay and we appreciate your kind recommendations. We look forward to welcoming you back when you are next in Brisbane. Located on the city edge with easy access to key services and quick access to motorways. Good sized rooms, well maintained, excellent food and attention to detail. Opposite the aquatic centre, good walking paths, restaurants with in easy distance, hospitals close by. Quiet neighbourhood, tranquil pool area with a tropical theme. Thank you for taking the time to review your stay. It is wonderful you hear you enjoyed your stay and our facilities. "Average stay for 1night stop over"
Thanks to the man on reception who helped me find a place to go to find an adaptor plug. I found one at BigW for 8dollars like you said. Hotel itself is average and clean. Reception area not what you would expect in a hotel. Thank you for you review. Great to hear you found all you needed. "Pleasant room, city view, good restaurant"
The room was good sized and nicely decorated. The bathroom was close to luxurious and had a night light which is a nice touch. The lobby and hallways aren't up to the level of the room. Free underground secure parking. Only instant coffee (Aussies call it "soluble coffee) This hotel is easy to get TO but then confusing to get INTO. It is on a boulevard so you can turn left into it but not right. You have to turn left before you get to the hotel and if you wait to get to the sign you will have to go several blocks to get back to the garage. There are two parking places in front of the garage door for check-in. Park there and walk up the stairs to register. We had a dinner and a breakfast at the restaurant in the hotel. The dinner was fine and the breakfast was excellent. Possibly the best omelette I have ever had. Thank you for taking the time to provide your feedback on your recent stay. We appreciate you passing on the directional information for future guests. I shall let chef know you enjoyed your omelette. We look forward to welcoming you again when next in Brisbane. Air con was noisy, staff not interested. Was advised that breakfast was cooked but reception staff insisted that it was continental only. Room was okay, other than the noisy air con. Would not recommend. Shared a downstairs apartment with a colleague. The layout of the room is terrible. You have to walk through the one room to get to the shared bathroom. place is clean and there is a small veranda area one can use. it was below road level so there are no views. the breakfast (extra) was sufficient with friendly staff to help. Off street parking available. Had a company Christmas party here. All staff was warm and friendly with a great service and excellent food as well. Car parking was provided, the venue was big enough for about 25 people, also they have huge outside area at terrace. Highly recommend. Thank you for taking the time for provide your feedback. It is great to hear you enjoyed your Christmas party. "Fine, clean, convenient budget hotel, but be aware internet constantly drops out"
I stayed here twice while in Brisbane. It's a fine hotel if you are on a budget. The air conditioning works well (very important for me), and the rooms are clean and adequately large (I had the "queen room deluxe" both times). There's also free parking in an underground garage. The only problem is the wifi -- it was intermittent and very difficult to use. I'd get on the internet and then it would just hang after a few minutes, so it was near-impossible to get any work done on the internet. I ended up using the wifi in the lobby and outside on the patio, which worked much better -- and I noticed several other guests doing the same. The hotel is up a fairly steep hill from Chinatown and shopping; not a bad walk but not super easy either. Thank you for providing such wonderful feedback on your recent stay with us. By telling us what you liked about your stay and how we can improve, you are helping us deliver a superior experience for you and other guests in the future. We have had our tech in and he has reconfigured the Internet router allowing us to receive a much better signal. We hope you will come back and see us again soon. the location was very easy to find by car and very close (walking distance) to the showgrounds and the tivoli. the lady at reception was very friendly and check-in was very easy. the room itself was very nicely renovated. the airconditioner was cold and clean. the room had a balcony which offered a beautiful view of the city at night. the wifi was fast and reliable. the bathroom offered plenty of convenient amenities, and was very clean. hotel showers are always a bit dicey but this was nothing too bad. my only other complaint is that the lightbulbs were very dim and at night it was hard to get the room bright enough to be comfortable. i will definitely be staying here again. Wonderful to hear you enjoyed your stay and our hotel provided you all you needed. We hope to welcome you back again soon. Stayed here for one night before flying out of Brisbane. For me the room was perfect, not huge but well designed, very comfortable, with good selection of toiletries available, had everything I needed available. Nice view of Story Bridge and the city and opposite a lovely park. Only negative for me was that it is a little way out of the city centre. Had a fair walk down to Queen Street and South Bank (around 30 mins) for dinner and found no public transport pack to Spring Hill after 5pm. Good place to stay, Staff friendly and amenities exactly what I need. Rooms were clean and tidy . Wi Fi good The accommodation was wiithin an acceptable price range. View over the city from the room quite good. Thank you Bill. It is great to hear you enjoyed your stay. I am pleased the staff looked after you and agree the city view is beautiful. We hope to see you again when you are next in Brisbane. "Dirty, mould ridden, shabby little motel style 'hotel'.NOT a 4 star"
Dirty, mould ridden, shabby little motel style 'hotel' not downtown as claimed by Priceline.Photos belie just how shabby it really is. The pool was very small and dirty, full of bugs and leaves with a large, sharp device in the middle.No security at night, God- forbid that you need anything at night....closed! This motel has somehow scammed their way into a 4 star rating, it is anything but! when I tried to talk to them about the room they said that Australian star ratings are different than North American- I stayed at many other 4 stars in Australia, all were as I would expect. "Very Good value in good location"
Handily located on the "green edge" of Spring Hill, this pleasant hotel offers clean comfortable rooms, peace and quiet, good undercover parking with friendly, helpful staff. You can easily access the city or the range of facilities in Spring Hill or just enjoy good value in the hotel. Very good value indeed. Thank you for your review. I agree the city views are beautiful from here. We hope to welcome you back on your next visit to Brisbane. Very friendly,comfortable and convenient place to stay near inner city Brisbane without being in a high rise in inner city Brisbane. Undercover secure free parking. Excellent menu. Great views from the balcony. Extraordinary to find this friendly quiet place so close to city. Within walking distance to the showgrounds. Fantastic customer service from booking to check out - nothing was a problem for the friendly staff. The room was clean and modern with super soft bed and pillows. They accommodated us for everything from an early check in to undercover free parking for a high vehicle. "Very pleasant, lovely cafe restaurant "
We flew into Brisbane for business reasons and spent a night out with family. We used public transport and taxis to get around. Upon arriving in Brisbane we caught the air train ($37 x 2 tickets, one way) to Roma Street station, then taxi ($12) to our hotel. Total $49 - a taxi from the airport would have cost $50! Oh well, lesson learned. Pleasantly surprised to find the cafe at Best Western open for some much-needed coffee and afternoon tea at 4:30pm. Good start. The cafe has both indoor & outdoor eating areas, very nice alfresco dining pool-side. Tick another box. Check-in was straight-forward, no waiting. Our room was clean & cool. The bed was lovely and comfy with a good bed topper. Bathroom had adequate supply of soap, shower gel, shampoo/conditioner and, my favourite, eye make-up remover towelettes! Brownie points ?? The Best Western is about 2.5km from Roma St train station so short cab ride. It is just over 6km to Norman Hotel where we met the family for dinner, another short cab ride. It's also 2.5km to Newstead where we had business, a short cab ride. Location-wise the Best Western was central to everything we needed and taxis arrived almost immediately at every call. Breakfast was a great deal. There is the traditional sit-down type breakfast or there is Brekky-on-the-go deal for $12 each. Terrific value- panini with bacon, egg, tomato, lettuce & cheese and coffee and a bottle of water. 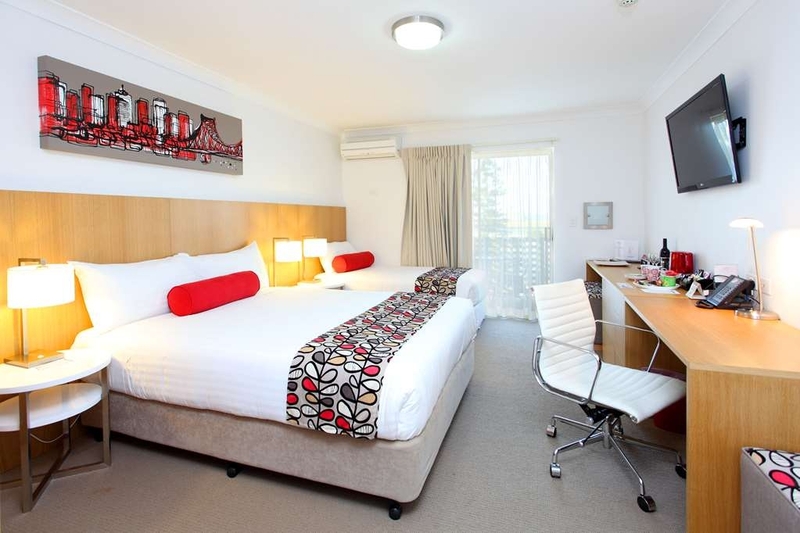 All up the Best Western Plus on Gregory Terrace, Spring Hill was well-priced, well located and well-serviced. We would definitely stay there again. Wonderful to hear you enjoyed your stay and the great food in gt's Café. We look forward to welcoming you back on your next visit. 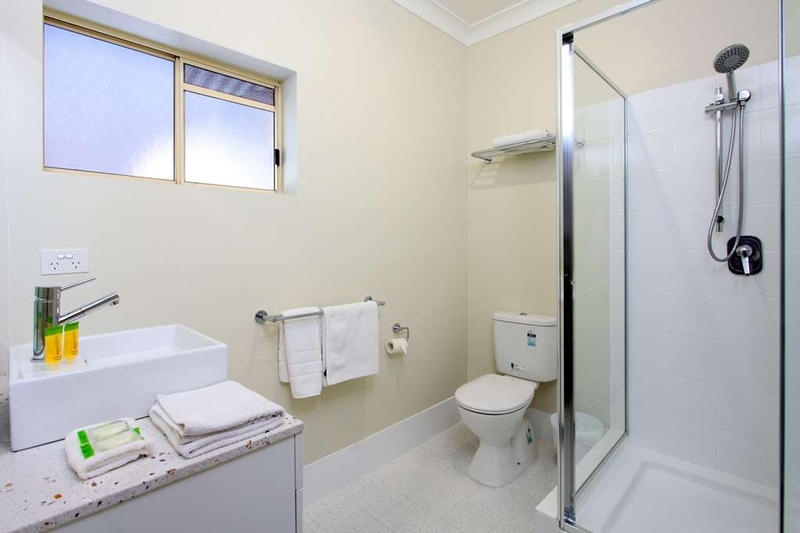 "Location, Location, Location to Brisbane Hospital"
This motel is within easy walking distance to the Brisbane Hospital. The staff could not have been more helpful or obliging. We extended our stay twice and there was never a problem. The rooms where clean and we had a lovely view over the city skyline. The restaurant was also very nice. Wonderful to hear you enjoyed your stay with us. So happy our staff looked after you well. We hope to see you again. "Peaceful and close to City." Great location. Near City yet quiet. Good views of Story Bridge and City lights or parkland views. Favourite features: Spacious rooms, Large tv's, Coffee plunger in room, King bed. Good bathroom and Free onsite parking. "Great neat hotel close to town"
Booked this one at short notice, was clean and tidy and convenient for the valley and a twenty minute walk to the city. Polite staff, clean relatively spacious room would stay again as two nights at the weekend was less than $200 total.